My wife, Marsha Snow Morgan, and I viewed this inspiring film many times over the years, but it was only recently that I realized the primal paradox built within Varela’s statement about wholeness, individuality, and creativity. 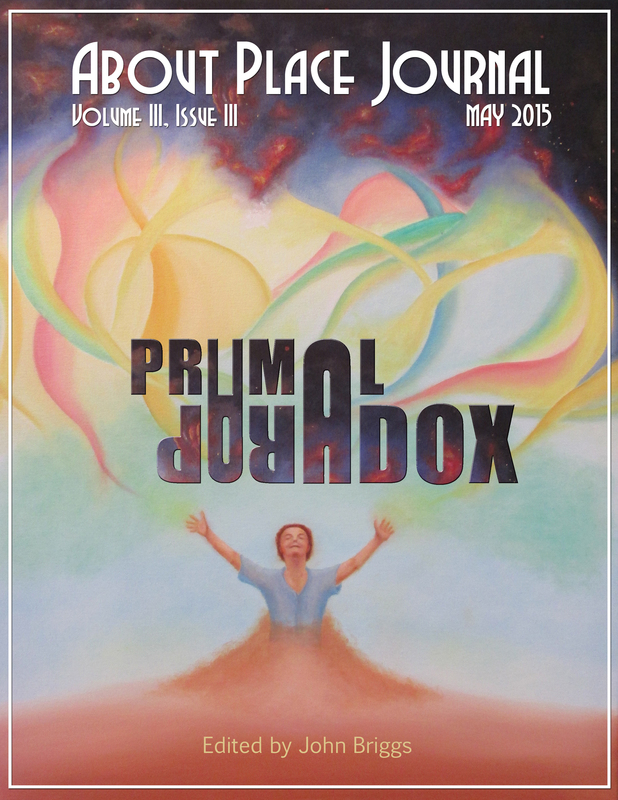 Finally, I was able to come to grips with the personal and professional primal paradox with Marsha. This will be discussed in more detail later, when I explore how the primal paradox is a derivative of living systems. One of my students recently commented, “I don’t know why sorrow is an awakener of the human heart, but it is.” A few months ago, I was faced with the most unfathomable and heartbreaking task of my life. I had to place Marsha, now in the advanced stages of Alzheimer’s, to a permanent care facility. It is my deep sorrow in response to Marsha’s illness that slowly brought to light realizations about our collaborative creativity. 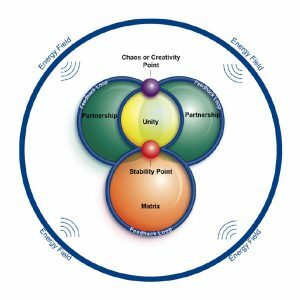 In exploring our 22 years of dynamic evolution toward a new way forward in education, I began to better understand the nature of individual creative flow, how personal creativity is affected in partnership, and creativity’s relationship to Eros and the world. During the last year before hospitalization Marsha repeatedly said, “You don’t need this in your life. Go forward with the work.” It seems now there was wisdom in her prodding me toward an independent path. In search of refuge from the pain of our separation, I dove into the river of creativity and came away with a deeper insight and the possibility for a broader application of our collaborative work. I find it altogether feasible that this “filament” not only appears in the celestial horizons, but also through infinite time and space, suggesting an invisible thread that includes all sentient and non-sentient beings on Earth. In “The Unbreakable Thread,” a 2014 Sun Magazine article, David James Duncan explains, “The forest rishis who set down the Rig Veda linked the atman, or ‘soul’ to the word sutr and called it the sutratman: ‘soul-suture.’” Rumi, the 13th century mystic, identifies this as the cord of causation. Whatever the name, it is the invisible evolutionary thread-connection that carries us forward from previous generations to the present and on into the future. I recognize it as the divine thread. My sense is that people have a calling beyond individual and family. It is where their gifts and the world’s needs intersect. Cultural historian Thomas Berry named it our Great Work; Maria Montessori identified this as our Cosmic Task. In 1973 I left engineering to become a Montessori teacher. By the end of that decade I had established a personal relationship with her grandson, Mario Montessori Jr., who served on my doctoral committee. Montessori’s son, Mario Sr., also befriended me and urged me to get more involved in a leadership position. I met Thomas Berry in Costa Rica in 1989 and subsequently visited him at his home in Riverdale, New York. In exploring Marsha’s and my histories, I see this divine thread leading us into the realm of co-creativity responding to the profound needs for macrophase wisdom in today’s world. In what ways might education create a unified worldview that would enable humanity to embrace macrophase wisdom? I grew up in New York City. When I was 11 years old, I was interviewed at my brother’s wedding and asked the question “What kind of girl would you like to marry?” With the innocence of my age, I replied “a blue-eyed blonde from Texas.” Little did I know that it would take another 40-years to complete that vision. Was this the divine thread at work? Although both of us were attracted to the study of the cosmos as well as an ecological framework to restore the Earth’s balance, my background and interests tended to focus on the former, while Marsha’s on the latter. In 1991, I invited her to join me in a course for teachers in Oslo, Norway. Our relationship intensified during this six weeks’ collaboration as we developed greater understanding of each other’s vision. Marsha subsequently then explored an ecological systems model created by author and good friend, Edward T. Clark. She worked with these ideas for the next 20 years, morphing it into a dynamical systems approach to natural mapping, first to represent general systems, and in particular, Gaian communities and cultural systems. The Gaian-systemic perspective views the Earth as a living system, operating as an integrated whole. 1. The unity function: What integrates the whole? For the Earth, these are the bio-geochemical cycles. 2. and 3. 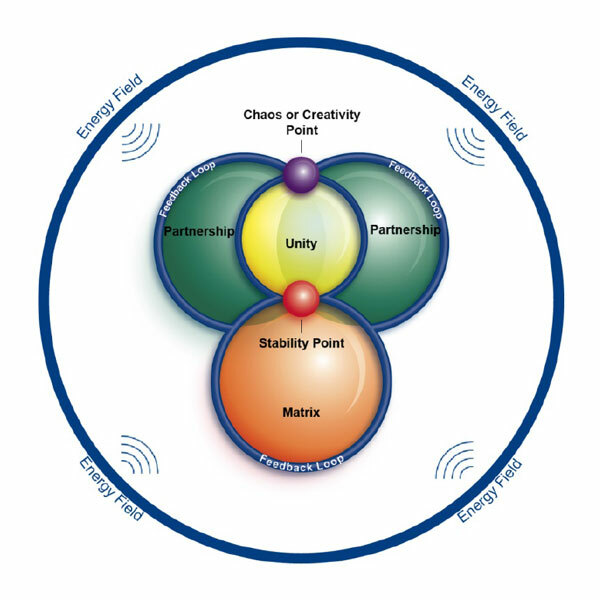 The partnership functions: What two systems work together as a duality expressing unity? The atmosphere and the hydrosphere engage in an interplay of competition and cooperation. 4. The matrix function: What medium or structure is needed for Earth systems’ survival? 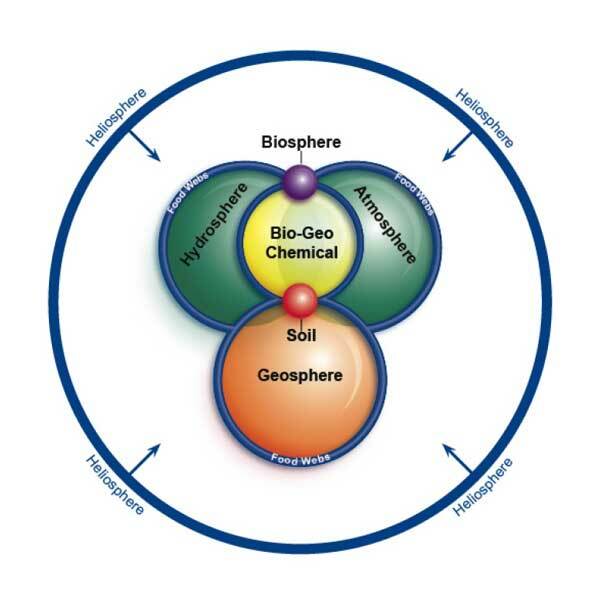 The lithosphere (or geosphere) is the resource base defining the carrying capacity for all of Earth’s systems. 5. The stability-maintenance function: What ensures the continuity of the system? All living systems must maintain themselves to ensure the system’s stability and continuity. For the Earth, this is the soil. 6. The feedback function: What function flows through all the others to balance stability and growth? All living systems contain complex feedback patterns. For the Earth, this is represented by food webs. 7. The growth function: What processes provide change, creativity, and direction for the system? 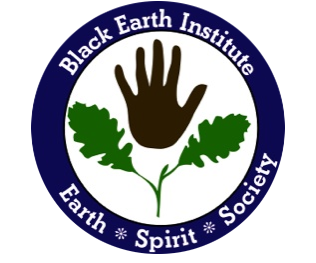 For the Earth, life itself — as it catalyzes dynamic change in every part of the system. 8. The energy function: What is the external source of energy? All living systems are powered by an external source of energy. For Gaia, it is the sun. As Marsha’s illness progressed, I dove into my own creativity river to contextualize our collaborative work. It is from this vantage point that I began to explore the question: What principles and processes did Marsha and I embrace that contributed to heightened awareness in the students who study with us in the Master of Education programs in Integrative and Montessori Integrative Learning? After integrating these on a Natural Systems Map, I realized that it both spoke to the nature of our graduate program and provided a life-context for working systemically with my own Great Work. I have been presenting these concepts to a wide range of people and discovered that working with these content-process relationships has helped them explore their life story and cosmic work. Eros is a more-than-human context that involves attraction and beauty on multiple levels of experience: Universe, Earth, and Life. There is an unconscious love throughout the evolutionary history of the Universe drawing entities into relationship-attraction with each other. With the power of self-reflection humans have taken Eros to another level where we can appreciate/love the splendor of the Universe (cosmophilia); the Earth with all its diversity (ecophilia); and life itself (biophilia). In what ways might heart-wisdom unify your sense of being and belonging? Marsha’s and my personal journey has been an exploration of the macro and micro context of Eros. Eros’ divine thread led me on a journey out of engineering and into Montessori education, eventually providing an 18-year dance of crisscrossing paths with Marsha until we both finally recognized the inevitable. Cinematographer Louis Schwatzberg explains, “We protect what we fall in love with. It opens our hearts and makes us realize we are a part of nature and not separate from it.” Marsha and I fell in love with each other, with the cosmos, and with the Earth. The Cosmological Perspective provides an understanding that we are the result of 13.7 billion years of evolution, that we are made of the same elements that are in stars – that we are stardust, that we belong to the Universe, and the Universe belongs to us. It includes the knowledge that we all come from the same source; everything in the cosmos exists in a network of relational nested hierarchies. What context might lead to a deeper understanding that “all is one”? This morning I rushed to the beach to catch the sunrise and looking back over my shoulder saw the moon setting. Marsha and I used to dance in the cosmic events viewed from the sand dunes 100 meters from our home. In witnessing moon rises or sunsets, we were gobsmacked with the divine presence. The Gaian-Systems Perspective enables humanity to experience the Earth as an integrated whole composed of interrelated and interconnected systems that maintain life as if it were a living system on its own. In fact, the Gaia theory states that the Earth is a living entity because it has been able to balance itself over hundreds of millions of years to sustain life; that is, until the more recent activity of humans. This perspective unveils the question: What wisdom do you acquire through awareness that the Earth is alive and that you are an integral part of its process? In our global travels and lectures, Marsha and I always found our way to local natural areas, the highlight of which was the Gaia National Forest on the Pacific coast of Costa Rica. Integrative Learning is education where content and process are seamless and contextual relationships form the basis of exploration. Inquiry is multidimensional involving heart, mind, body, and soul. What core experiences allow one to be inspired for self-learning, self-discovery, and personal transformation? In our TIES’ graduate programs, some of the core experiences that foster integrative learning include: dialogue, contextual learning, the development of a learning community, eCampus mediated learning, exploratory writing, and creative expression. Our approach to dialogue is based on the work of physicist David Bohm and philosopher J. Krishnamurti. It begins with a willingness to be tentative about what you know, and its focus is on “what is” rather than on ideas and opinions. It allows issues to unfold with affection and mutual respect. Therefore dialogue supports a non-adversarial learning environment. Its purpose is to pursue collective learning and shared meaning. Our experience of working with adults reveals that when individuals understand the patterns that connect, they will comprehend the contextual relationships that give rise to humanity’s sacred presence in the evolutionary story. That insight has led to conscious economic and ecological decision-making. In a learning community everyone brings his or her presence and learns from each other. Facilitators are there to help move the dialogue along and to raise questions for further inquiry. A prime example of how this works involves the program’s reliance on eCampus mediated learning. The online aspect of this program allows students to think and reflect and respond when they are ready – so that everyone has an opportunity to participate in the dialogue. Joining the dialogue continuum is our approach to academic writing. In juxtaposition to an expository approach, our students use exploratory writing wherein they take the reader on a journey with them as they respond to questions they create. In this approach, students share their personal experiences, as well as document sources that they have explored throughout their studies. It is altogether fitting and proper for them to draw conclusions at the end of their academic papers. Creative expression has an important role in working with our students. Mind Mapping enables them to explore nonlinear, contextual relationships. Additionally, students have several opportunities for creative expression allowing them to access insight-wisdom based on working with clay or making a collage. One such collage was created by student, Adam Tougas (Vermont, USA) to express his learning. This image is now the centrepiece for of my symposia: Cosmos, Gaia and Eros: Inner Leadership. Observing and meditating are processes imbued with the intelligence of love that allow for perceiving the “what is” without influence of past or future and without judgment–interpretation. Emergent “truth” may lead to right action. What methods help you to center yourself in order to sustain your vision? Taking personal moments for self-observation may reveal the patterns that connect, helping maintain one’s balance and connect to one’s Great Work or Cosmic Task. Meditation, when focused on the heart, is a process that has become a partner in my own journey. It has been my key to riding the tidal wave of Marsha’s illness and releasing the personal creativity that was always there waiting in the wings. Observation is a critical component in our work. Based Varela’s contributions, students use a phenomenological approach and make a video of themselves, presenting materials and/or concepts to children or adults. In the first viewing of the video, they observe the participants (third person). In the second viewing, they observe themselves (first person), noticing how they were feeling and responding in that moment. The resulting analyses have been transformational. Varela, along with biologist Humberto Maturana coined the word autopoiesis in their theory of living systems. In autopoietic processes, entities are continually self -making, both self-contained and in relationship (coupled) to their environment. There is a network of processes in which the function of each component is to participate in the production or transformation of all components. In this way, the entire network continually “makes itself” while simultaneously bringing forth a world. In what ways does your relationship to Gaia, Cosmos, and Eros evolve? How do you partner with others to bring this forward? This worldview might flourish and sustain life if the structural coupling contains the awareness of Cosmos, Gaia, and Eros. For Marsha and me, this was a given. However, on a personal level there were many complications to carrying out our vision as this feedback function coursed its way. According to Capra (2014), “The double role of living systems as parts and wholes requires the interplay of two opposite tendencies: an integrative tendency to function as part of a larger whole, and a self-assertive, or self-organizing tendency to preserve individual autonomy” (p. 65). The primal paradox revealed in my relationship with Marsha is a derivative of this living systems’ perspective. It addresses the self-contained (autonomy) and structural coupling (relationship) aspects of autopoietic processes. When I proposed to take our vision out into the world, her typical response was “I just want a simple life, planting a garden and being with children.” She was very protective of her ideas and often kept them secret from me until they were fully formed. I would be ecstatic about her creativity and insight and ready to apply them to our work. She would be reluctant. My own view was that ideas were free, born to be shared – especially those that might help others along their journey. My common response to these differences with Marsha was not to push my agenda because I wanted to avoid potential conflict. Herein lay the crux of our primal paradox: the tension between one’s drive to be an individual and the drive to collaborate with others. In order to preserve what we experienced as heart-connected, twin-souls’ love, I chose to sacrifice some of my ethos. Obviously we each brought our history/cosmic thread into the relationship and that conditioning prevented us from placing conflict on the table to explore. As a result, I lost some of my creative expression, which has only resurfaced since Marsha has been in Alzheimer’s care. I have no regrets for what might have been because we had a glorious life together, but I am now joyfully being reacquainted with my creating self, a self that needed the collaborative stepping-stones to find the new path before me. Autopoiesis teaches us that relationship is key to attaining one personal vision, to following one’s personal flow of creativity – whether with a significant other, friends, professional colleagues, or students. Expanding consciousness, as well as tapping into morphogenetic fields, may bring awareness beyond thought–mind, enabling humans to access collective wisdom and soul manifestation. What is the source of wisdom-knowledge for right-living? Transformation addresses the creative power of an educational experience, empowering individuals and groups to find deeper meaning in their lives in order to contribute to the greater good. In what ways might deeper meaning and expanded consciousness emerge? As I write this I am filled with a similar transformative signal I have experienced in my previous major life transitions. I feel a choiceless choice as I move forward to share Marsha and my vision because this will necessitate more global travel with separation from her physical presence. In many ways, I feel as if Marsha and I uncovered the philosopher’s stone for educating in the 21st century. Although our collaborative days are over, I embrace what we learned together. Montessori, M. (1946, 1974). Education for a New World. Madras, India: Kalakshetra Publications. Montessori, M. (1948, 1973). To educate the human potential. Madras, India: Kalakshetra Publications. Montessori, M. (1949, 1969). The Absorbent Mind. Madras, India: Kalakshetra Publications. Reichle, F. (2005). Monte grande: Francisco Varela. T & C Film AG. Sheldrake, R. (1881, 2009) Morphic Resonance: The Nature of Formative Causation. Toronto: Park Street Press. Philip Snow Gang, Ph. D., Dean of The Institute for Educational Studies (TIES) M. Ed. programs in Integrative Learning and Montessori Integrative Learning, is a pioneer in the field of integrative, systemic and transformative approaches to education. He is the author of Rethinking Education, co-author of Conscious Education: The Bridge to Freedom, appears in DeCarlo’s anthology, Towards a New World View: Conversations at the Leading Edge and is creator of the ecological mobile map material, Our Planet, Our Home. 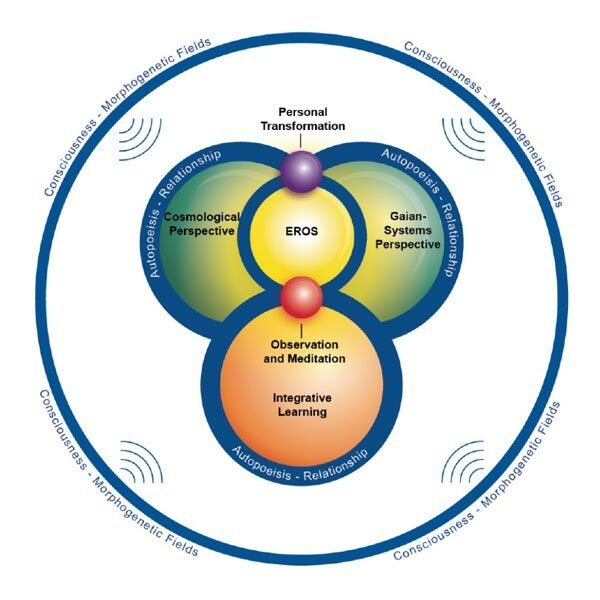 During 2015-2016, to mark TIES 20th year, Gang is engaged in a legacy tour revealing his life work through Cosmos, Gaia and Eros: An Inner-Leadership Symposia for Integrative Learning.